Born in Southern Louisiana, Richard had always been interested in the study of wildlife in the swamps and wetlands near his home in St. Bernard Parish. Looking for a hobby to relieve the stress of his job as a Police Captain on the New Orleans Police Department, he began carving ducks and birds in the early 1980's. 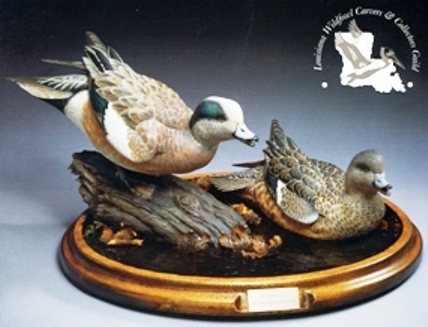 His first carving, a flying Green Wing Teal, was entered in the Gulf South Championship and won Best of Show in the Novice Division in 1984. After several years of study in the perfection of his art, Richard began carving professionally in 1990 and won numerous Best of Show awards in competitions throughout the country, including Michigan, Minnesota, Texas, Maryland, Illinois and Ohio. After Richard retired from his job on the Police Department, he began carving full time. 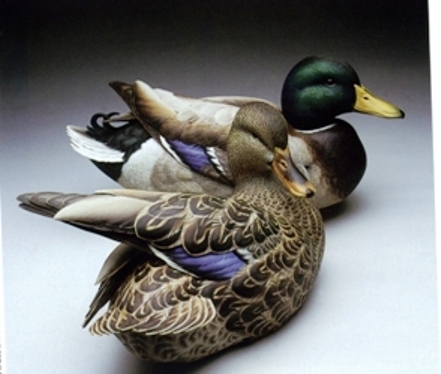 In 2001, Richard won the World Championship Wildfowl Art competition held in Ocean City Maryland with a pair of Mallards. In 2004, he won Best of Show at the World Championship in the Masters Division in Maryland with a Hen Widgeon. In 2007, he again won the World Championship with a pair of Red-Breasted Mergansers. In 2008, Richard won another Best of Show at the World Championship in the Masters Division with a Drake Mallard. In 2009 he won the World Championship in the Masters Division with a hen Pintail. Richard carves and paints his wildlife subjects with extreme detail. 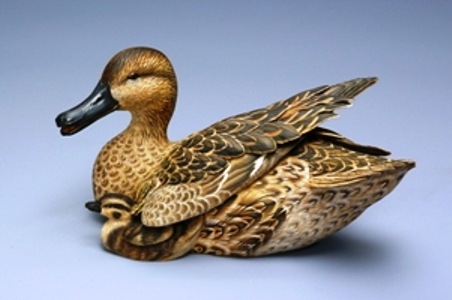 His carving has been featured in various publications including Ducks Unlimited, Ducks Unlimited Calendars, Wildfowl Art Magazine, Wildfowl Carving Magazine, Championship Carving Magazine, etc. His work can be found in several museums around the country and in major private art collections.